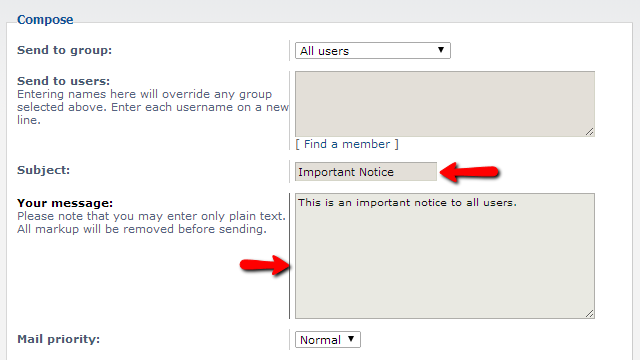 The phpBB platform offers you the option to send an email to all of the members registered on your board. Such emails are usually used for some important announcement or for some notice to be presented to all of the users. 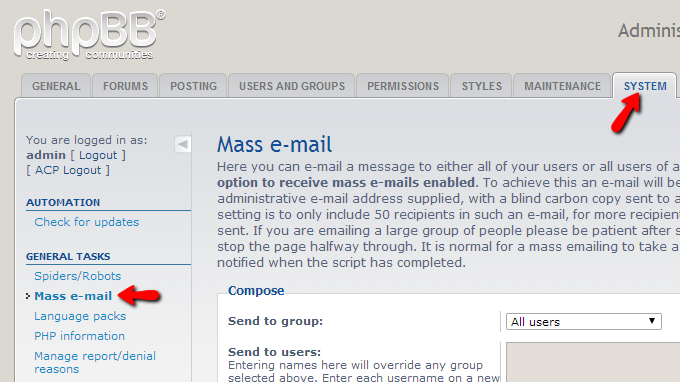 In order to access the Mass e-mail feature you will need to login into the Administration Control Panel of your Forum and to navigate to System>Mass e-mail. This link will redirect you to the Mass e-mail page where you will need to configure the email you will be sending. The available fields for the configuration are included into the Compose section of the Mass e-mail page and the most basic you will need to fill are the Subject and Your Message fields. Once you have filled the fields you will need and you are ready to send the email please scroll down to the bottom of the page and press the E-mail button so your email can be send immediately. 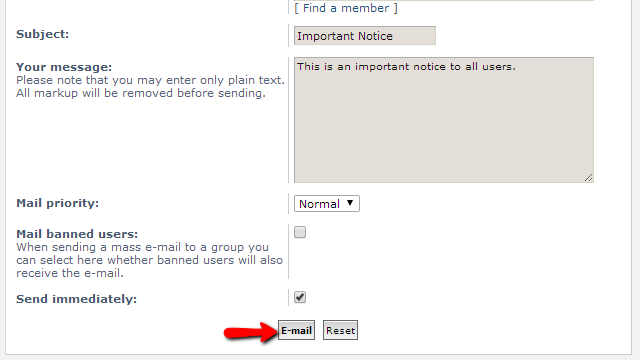 That is all you will need in order to send an email to all users registered on your Board!